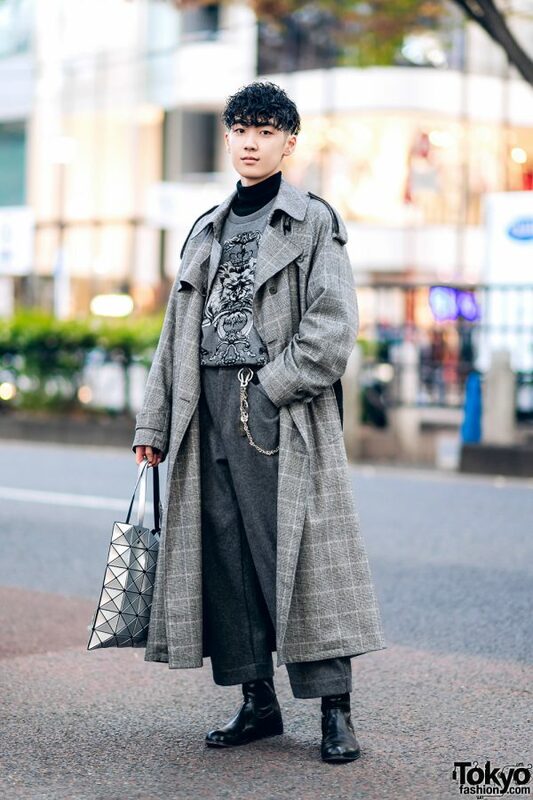 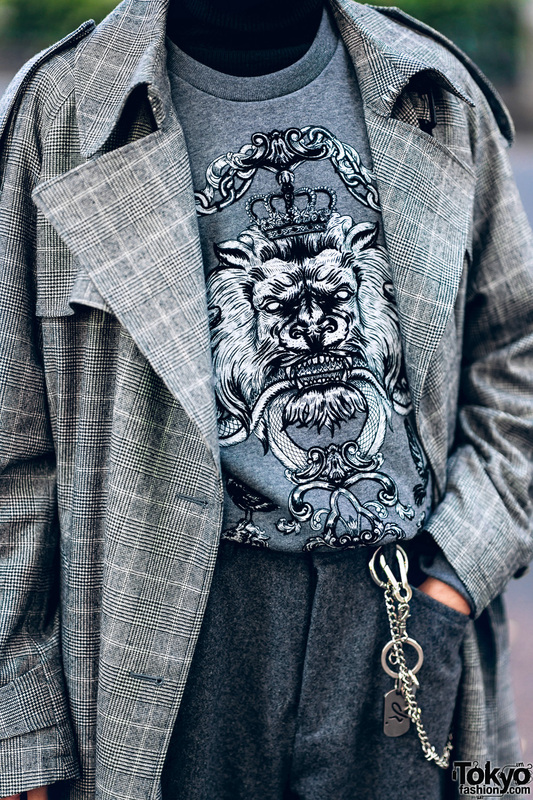 Meet Zastin, a 20-year-old student (and drummer in the Japanese rock band The Crimson Pierce) whose curly hair and monochrome streetwear style easily caught our eye on the Harajuku street one afternoon. 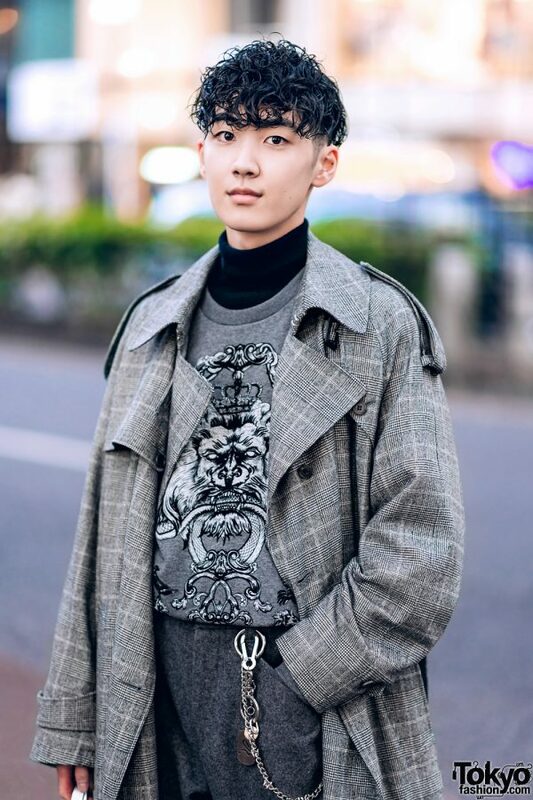 Zastin stepped out in a grey plaid belted trench coat with notched lapels and shoulder straps from Sugarhill, worn over a grey graphic lion print round neck shirt and a black turtleneck top from Zara, both tucked into grey wide leg cropped tweed pants from En Route. 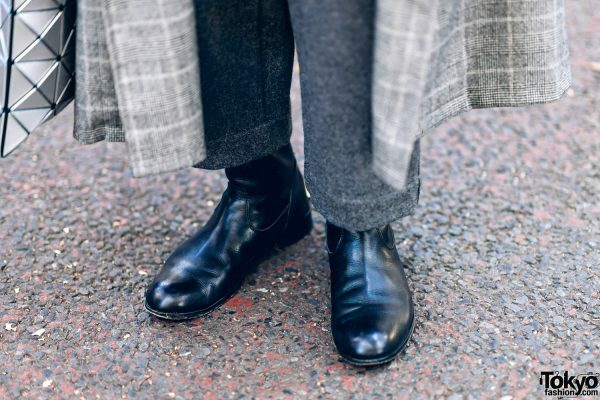 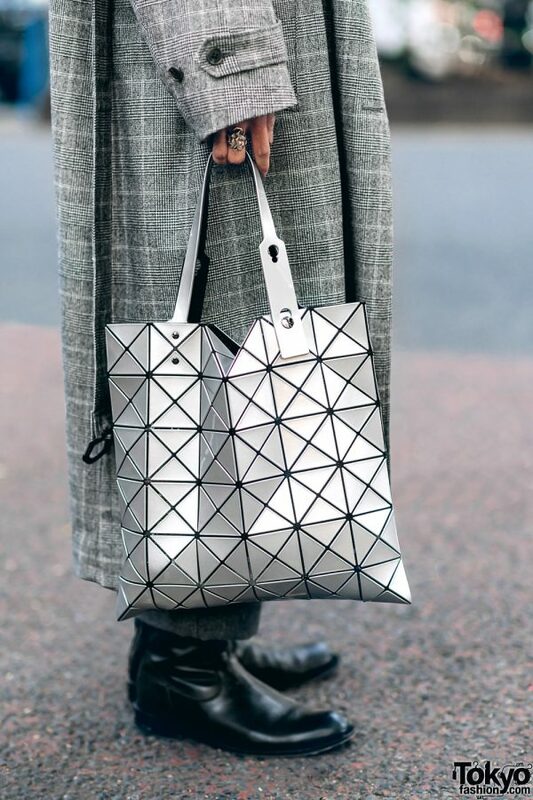 Black leather boots from Padrone, silver chain accessories from Agnes B., and a Bao Bao Issey Miyake geometric tote are the finishing touches to his monochrome style. 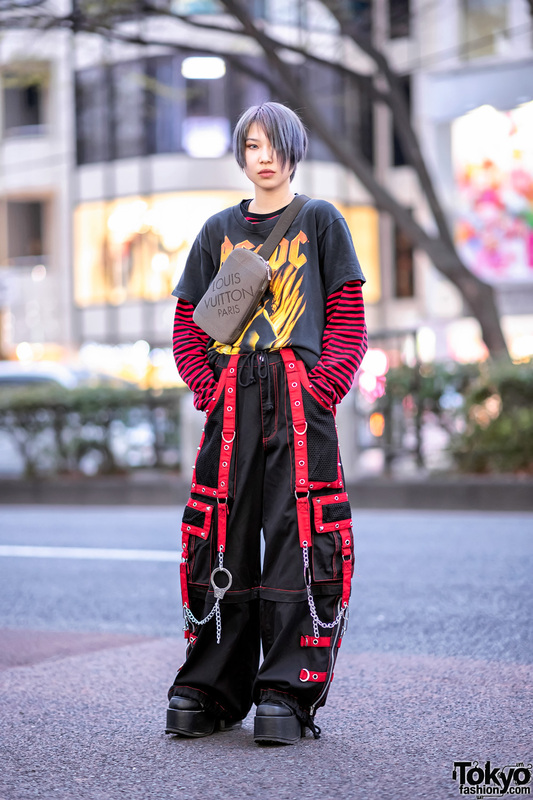 Kolor, Sugarhill and Uniqlo are some of Zastin’s favorite fashion brands, and he likes the music of The Crimson Pierce. 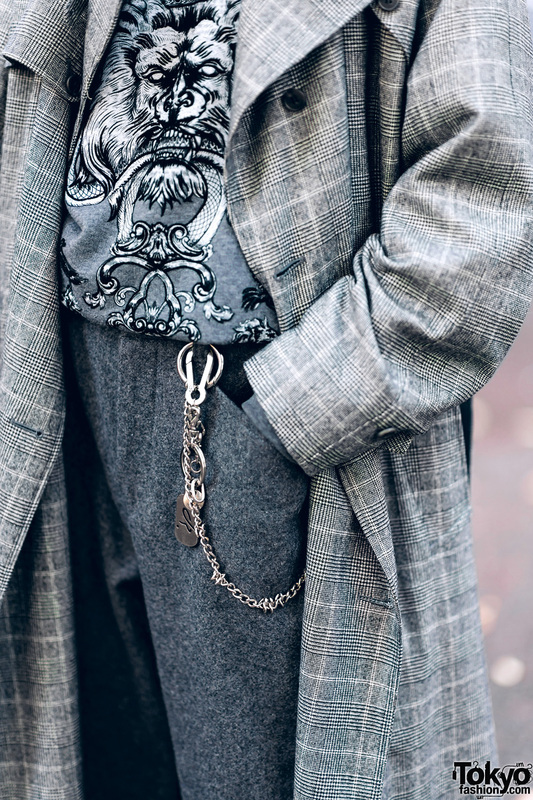 Follow Zastin’s streetwear style feed on Instagram.